…otherwise known as the back porch. My husband and I worked on it all day Sunday — scrubbing and sweeping, hosing down furniture and rugs, and making sure these babies were all in working order. 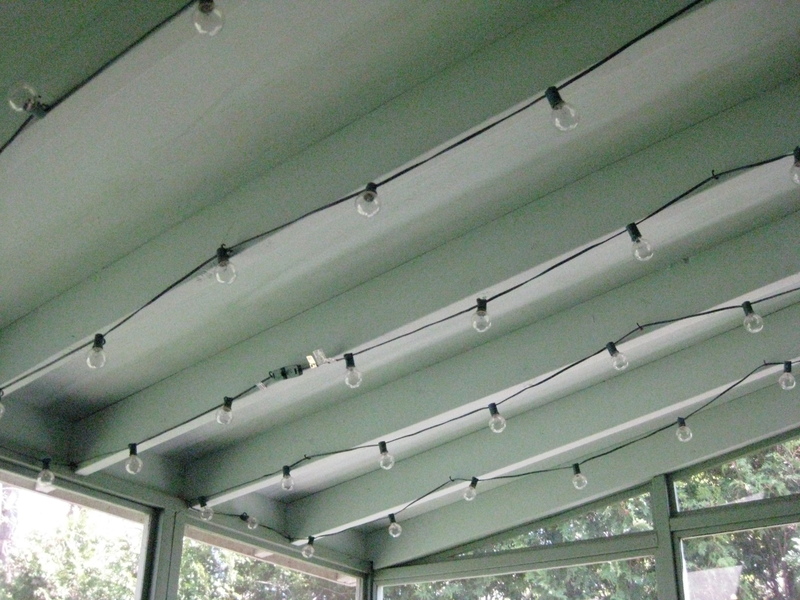 Let there be light(s)! We’re thrilled to be able to use this space again for fun, as we had to use it to store all our kitchen reno materials last summer. Several beers and glasses of wine have been enjoyed out here already, and we’re looking forward to sharing it with guests. 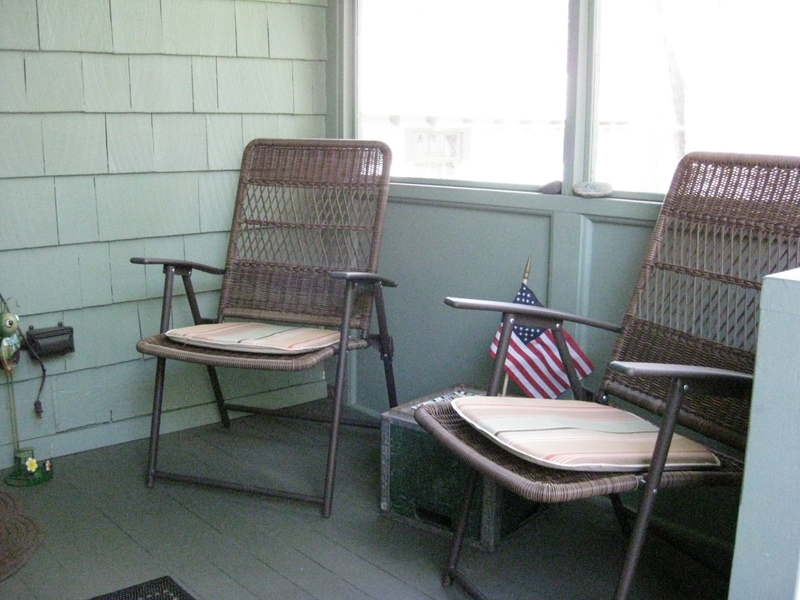 (Just a few at a time, though, as our porch is on the cozy side.) In the meantime, I’m looking forward to bringing my laptop out here for some sunny, spring-summery writing. 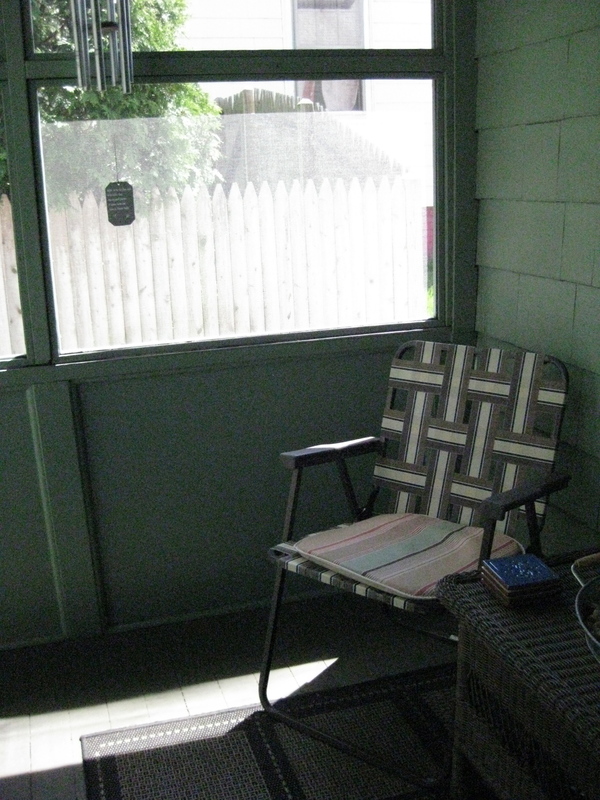 Do you have your own seasonal writing nook? Do tell! Also, I’ve just learned I’ll be filling in as a guest host of the “Reading with Robin” radio show (station 920AM) on Saturday, April 28 from 7-9am. I’m putting together some book-related hi-jinks and working on inviting some special guests, to be announced. If you’re in the Providence area, I hope you’ll tune in! I love when I get to work from home and can do it from my enclosed front porch…it is the most relaxing place.